"My focus as a Maternal Fetal Medicine specialist is to try to optimize the care of women and high risk pregnancies. I have a focus on prenatal diagnosis and helping families cope with pregnancies affected by congenital abnormalities. My clinical focus is on cardiac disease, and hypertensive disorders in pregnancy, as well as isoimmunization and hemolytic diseases." 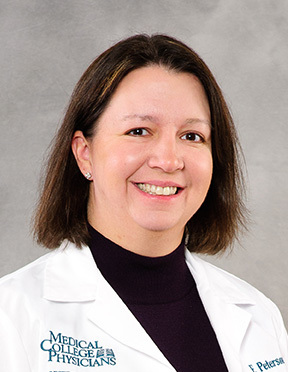 Dr. Erika Peterson joined the Department as an Assistant Professor of Obstetrics and Gynecology at the Medical College of Wisconsin in April, 2011. She received her Doctor of Medicine degree from Southern Illinois University in May 1999. She then went on to complete her residency in Obstetrics Gynecology and Women’s Health in St. Paul, Minnesota from 1999 to 2003. She attended Tufts Medical Center in Boston, Massachusetts fellowship in Maternal-Fetal Medicine from 2004 to 2006.Dr. Peterson’s practice has an emphasis in Maternal-Fetal Medicine. Her areas of expertise include high risk obstetrics, prenatal diagnosis, fetal anomalies, cardiac disease in pregnancy, and hemolytic disease in pregnancy.Dr. Peterson’s research area is in hypertension in pregnancy and Rh disease. Recently named in U.S. News & World Report’s Top Doctors List for 2012-2013, Dr. Peterson is ranked in the top 10% of Perinatologists regionally. 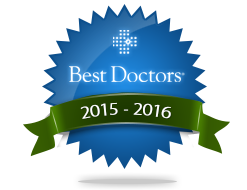 Additional awards and honors include Best Doctors in 2009 and 2010. She also received the Tufts Medical Center Excellence in Teaching Award in 2009. In her spare time, she enjoys spending time with her family, going to the lake, and skiing in the winter. Dr. Peterson is competent, intelligent and I felt very safe in her care. Would recommend her to anyone in need of a perinatologist. Great staff! Dr. Peterson & Renee (ultrasound sonographer) were excellent! They showed professionalism and empathy. I felt well cared for! The front desk staff was wonderful as well. I would recommend this office to everyone! My visit with Dr. Peterson was very pleasant!